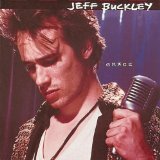 Grace is ranked as the best album by Jeff Buckley. Members who like this album also like: OK Computer by Radiohead, The Bends by Radiohead and Nevermind by Nirvana. Related links: top tracks by Jeff Buckleytop tracks of the 1990s, top tracks of 1994. Showing latest 5 ratings for this album. | Show all 1,568 ratings for this album. A good album by any standards and a great album by debut standards. Jeff was clearly a supremely talented individual not only in terms of the obvious vocal and guitar work but also as a songwriter. At times he can get carried away with some of his riffing but he can usually get away with it because of how talented he is. I really admire the courage it takes to put a song like Corpus Christi Carol on a debut album. I might be getting a bit carried away myself but I think it goes a long way to show his intellect and appreciation for music. It's a shame such a seemingly kind soul was taken so young and without the opportunity to create more. The more I listen to this one, the more I like it. I initially rated it 85, I've upped my rating to 90. Mr. Buckley's vocals are astounding. His upper range tenor is near operatic. "Lilac Wine" is one of the most beautiful songs I've heard as is his rendition of Leonard Cohen's "Hallelujah". The instrumentation is also top notch. Just a wonderful recording. It's a tragedy this man died so young, just 30 years of age. A efêmera e gigantesca passagem de Jeff Buckley. Nunca iremos saber o que foi perdido. I mean, Jeff Buckley was like any other artist at the time, one of the few solo artists to have this much influence in so long time, the next one I can think of is, I don't know, David Bowie? Anyway Grace is his only album, It's like the work of his life and you can feel that on his singing. Am I the only one who thinks that Dream Brother is the best song on this album? Fate was to determine that Jeff Buckley would only have one shot at recording a great album. That's all he needed. This album is amazing. Buckley’s vocals are extraordinary and the whole album is so emotionally moving. It's a shame he died so young but this is quite a gift to leave behind. He had nothing short of pure musical talent and every track on this album is a testament to that.